The 64th Filmfare Awards took place last night. Some of our favourites won, some did not. Ishaan Khatter bagged the award for Best Debut Actor for his performance in the movie, Beyond The Clouds. The win has ruffled a few feathers in the industry, in case you missed it. 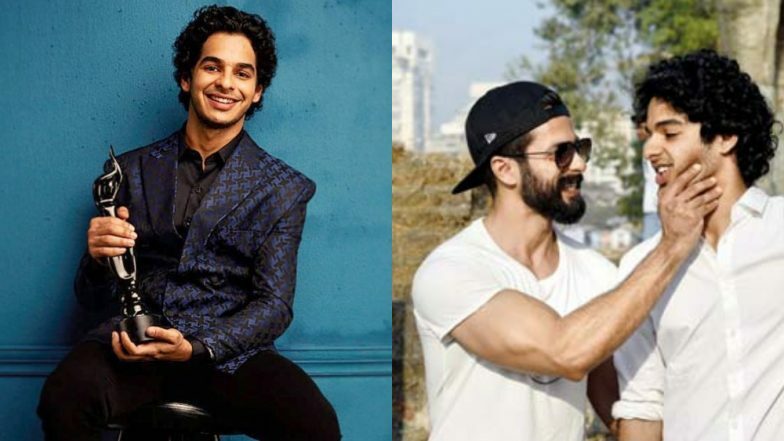 Shahid Kapoor's brother Ishaan was seen in the Majid Majidi directorial before he starred in his true-blue Bollywood debut, Dhadak, by Dharma Productions. So, as the ceremony is still to air on the TV, we do not know what Ishaan said for his acceptance speech. But the actor took to his Instagram page and shared how he feels about his win. Ishaan wrote a small note in the caption, dedicating his award to people who matter the most. "Filmfare for Beyond the Clouds, an irreplaceable chapter of my life. Agha Majidi and @shareenmantri , this one’s for you," he wrote. The actor also added a few words for his brother while dedicating the Filmfare to him. He said, "and for my bhaijaan @shahidkapoor whose presence in my life I can’t define in words,"
Firstly, we are left wondering about Agha Majidi. Umm...who's that? Sharen Mantri was the producer of Beyond the Clouds. Secondly, we think this is so sweet of Ishaan to talk about his bro in the Instagram post. As if we were not in love with the siblings' camaraderie when the appeared on the fun episode of Koffee with Karan 6. 64th Filmfare Awards 2019 Complete Winners List: Alia Bhatt and Ranbir Kapoor Win Top Honours. After this Filmfare win, we are waiting with even more eagerness to hear about Ishaan's next film. Rumour has it that the actor has signed a film with Kaala director Pa Ranjith.